When Moth Photographers Group was begun late in 2004 there were very few resources on the Internet to aid in the identification of moths. 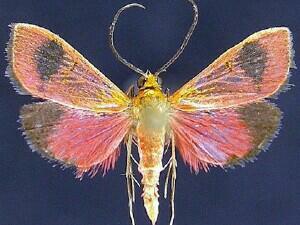 In North America there was but a single "large" moth website and it covered just the Noctuidae of Canada. It was from that website that many photographs were obtained to help build the first MPG pinned specimen plates. Jim Troubridge was the person who was largely responsible for that website. In 2006 he added to it photographs of all the Geometridae of Canada. There are about 850 photographs of nearly 500 geometrid species in that collection, all of which are now shown on MPG plates and species pages. Productive people are able to figure out better, faster and cheaper ways of doing things. When Jim photographs pinned specimens he bipasses the camera's storage disk and has the image filed directly to the computer. This saves several uploading steps and permits the species name to immediately become part of the image file name, thus reducing the chance of errors. Working efficiently, Jim was able to process all those geometrids, from museum drawers to the Internet, in less than two weeks. When Jim wanted a dozen photo cell timers to turn his moth lights on and off he simply made his own. Jim has done extensive field work, especially in the western Provinces of Canada and in the western United States. His major collecting and research interests involve the moth superfamily Noctuoidea. 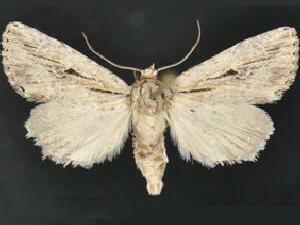 He has published many technical papers in which genera were revised and new species were described. There are currently 105 species on the North American checklist, dating back to 1983 (a butterfly), that were described by him or with a co-author. Fifty-nine of these, mostly in the genus Sympistris, are to be found in his last major paper which revised the noctuid subfamily Oncocnemidinae. Prior to his retirement Jim served for a number of years as a collection manager at the Canadian National Collection of Insects, Arachnids and Nematodes in Ottawa. He currently lives in southern Ontario and spends up to six months each year in southern Florida where he extensively continues to collect moths (while not engaged in fishing or scuba diving). 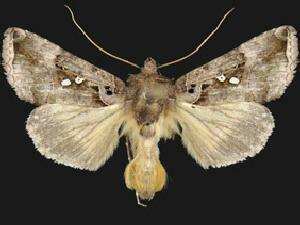 Several of his recent discoveries in Florida of moths that are new to the North American list are shown here. Jim has the enviable reputation of being the consumate field collector. He has the ability to analyze plant communities with an eye to determining the most likely flight lanes to be used by moths. This leads to opportunistic placement of light traps and very high species representation in a nightly sampling of a locality. This in turn leads to the discovery of species not previously known even in well-collected localities.